Can I Transmute my top card if it's revealed? Sure, I'll come to you with suggestions if any. Having to ensure they're even-number-free does up the deck building challenge but adds so much to the "Yennett is Odd" flavor! 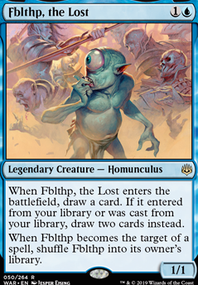 Btw, Future Sight has a and some other cards as well. Is that a no no for you or as long as the CMC is odd, you're fine? 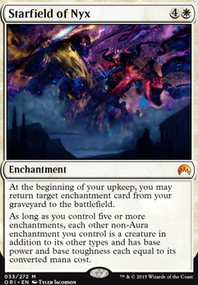 So, you have Ad Nauseam and Angel's Grace . Cool. What's the game plan from there? Draw your whole library, sure. Then what? Play Laboratory Maniac ? Well, you can't actually win with that alone, because you'll then die as a state-based action during the next upkeep. You'd have to save a Ponder , Preordain , or Brainstorm . That's 10 mana to go off--not exactly great for a 2-card combo. Sure, you have Reliquary Tower to not have to draw your whole library, but you'd probably still just kill yourself, all the same. And I wouldn't really recommend using Ad Nauseam any other time, frankly--you have a bad curve for it, with a number of 5 drops, 6 drops, and a 9 drop. 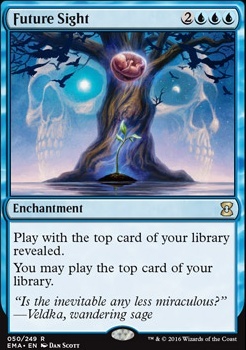 Also, you're only playing 23 artifacts, including your commander. I'd recommend playing at least 25. 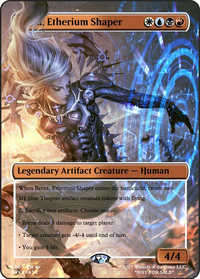 I see you're also running Dramatic Scepter, Top + Future Sight + Sculptor, and Paradox Engine . That's all well and good, but I don't really see the payoff apart from Blind Obedience . That's a whole ton of combo pieces to put together--not great. 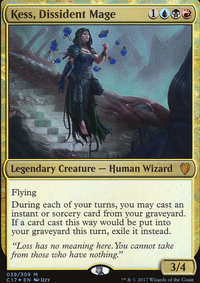 Cut Ward of Bones , Consecrated Sphinx , Darksteel Forge , Armageddon , Dissipate , Phyrexian Arena , and Perplex . Put in Static Orb , Shimmer Myr , Winter Orb , Tangle Wire , Grafdigger's Cage , Pongify , and Terminus . 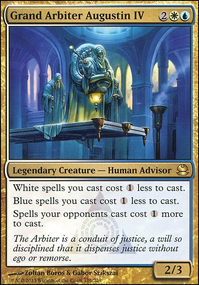 Considering you're running Mystical Tutor , Personal Tutor , Sensei's Divining Top , Brainstorm , and Future Sight , it shouldn't be that hard to miracle it.